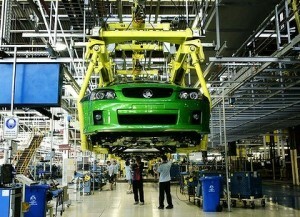 As the automotive industry in Australia continues to struggle with increased production costs and the rising Australian dollar, car manufacturer GM Holden has been given a $270 million lifeline by the government. The Gillard, Weatherill and Baillieu Governments have announced a $275 million co-investment to secure the future of Holden’s car making operations in Australia. In return, Holden will inject over $1 billion into car manufacturing in Australia, also promising to make two next generation vehicles here that will be cheaper to run and better for the environment. The Prime Minister said the $215 million from the Federal Government is funded under the existing $5.4 billion New Car Plan for a Greener Future. Holden estimates the new investment package will return around $4 billion to the Australian economy and will see GM Holden continue making cars in Australia until at least 2022. “The Gillard and Baillieu Governments will provide an extra $35 million for the Automotive New Markets Initiative, a new program to help firms in the automotive supply chain move into export markets and supply their products to other industries, with a Federal contribution of $25 million, ” said the PM. The Australian Automotive Industry currently employs 55,500 people in Australia and supports around 200,000 additional jobs nationally.